A glittering awards ceremony will be held at Sandwell and West Birmingham Hospitals NHS Trust recognising some of the best healthcare professionals in the organisation. Nearly 500 deserving employees were nominated for The Star Awards ­- the highest number ever received for the event. Judges have shortlisted members of staff across 18 categories, and the winners will be revealed at Friday’s (October 13) ceremony, which is to be held at Aston Villa Football Club. The Mayor of Sandwell Ahmadul Haque will be a special guest at the event, which will be hosted by comedian Mark Palmer. Categories include Employee of the Year, Digital Leader of the Year, the Patient Safety Award, and the Prize for Innovation. The event is fully funded by sponsors. Four of the category winners were decided by staff votes, whilst the remainder were picked by judges, including Mr Samuda, and representatives from Healthwatch Sandwell and Birmingham. 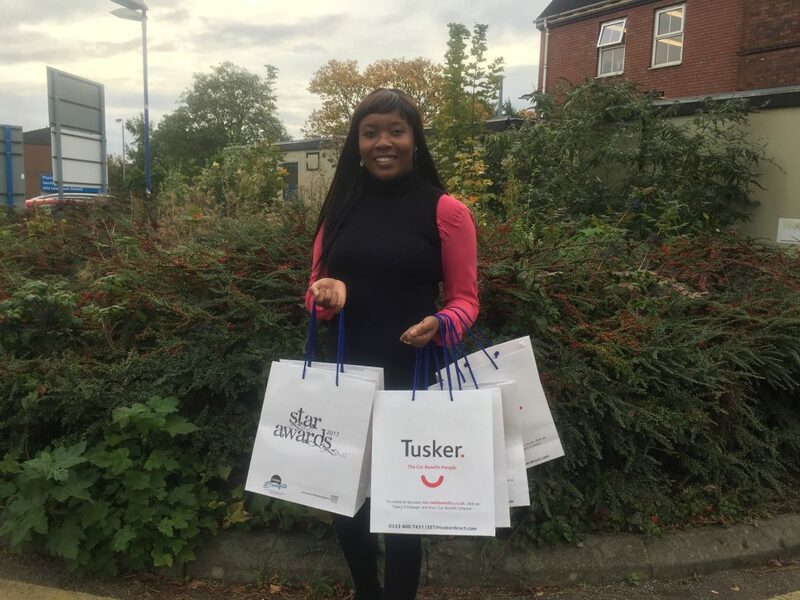 Pictured above: Head of Internal Communications Chilufya Dawo, who is part of the team organising the Star Awards, holding up some of the goody bags that will be given to all guests who attend.